While it's only an hour outside Chicago, the flat, toll-free stretch of interstate that passes through Gary, Indiana feels a world away from the next big city. A quick scan of the area reveals nothing but franchises at first: McDonald's, Denny's, Burger King, Subway, and Wingstop, all lined up neatly along a mile-long road. Don't let that discourage you. Hidden in plain sight among a string of gas stations is a truck stop trailer that serves fantastic Serbian food like finger-sized ćevapi sausages, a soothing mućkalica stew, and a smoked, delicately spiced pork delivery system that's as lean and snappy as a foot-long hot dog (rostiljske kobasice). 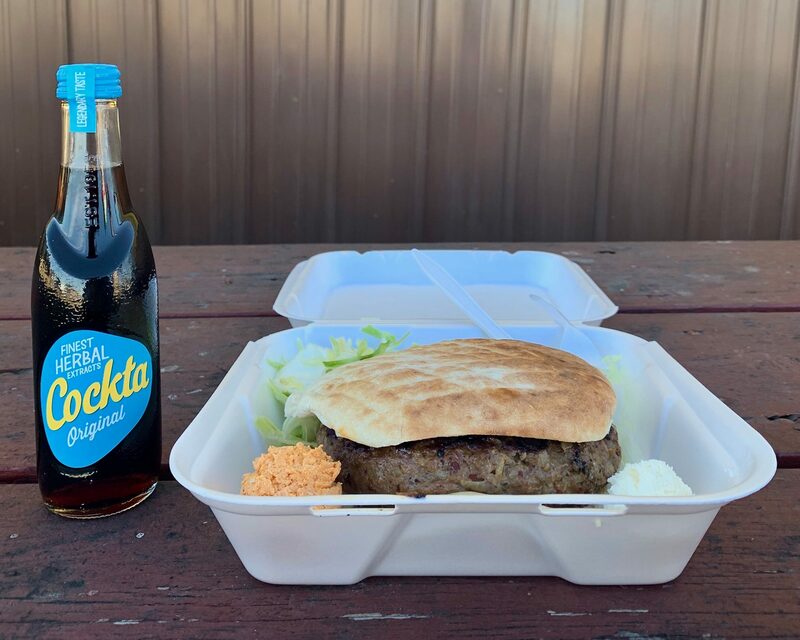 An open secret among semi drivers and a small but serious cult following, Balkan Grill Company was opened by chef Momcilo Bogdanovic in 2014 after his own seven-year stint with the long-haul life. Much like many of New York's taxi drivers—professionally trained as doctors and lawyers back home but unable to apply their degrees to a comparable position here—Bogdanovic didn't plan on spending two or three weeks at a time carrying 40 tons of cargo across state lines. He actually studied accounting at the University of Belgrade Faculty of Economics and played handball professionally until a serious ACL injury kept him sidelined for good. Between that setback and Serbia's weak economy, the then-24-year-old felt his most promising career move would be moving to the States. "People in Serbia were living on $300 a month at the time," says Bogdanovic, "so coming here and getting paid $9 or $10 an hour didn't seem so bad. After all, you've gotta work hard wherever you live in the world." When Bogdanovic first settled in Chicago in 2008, he took a job at a fine-dining restaurant with the end goal of expressing himself as a cook. While he isn't classically trained, Bogdanovic's family ran a successful restaurant when he was a teenager and his mother, brother, and uncle—an award-winning chef from the '70s named Jovan Bogdanovic—all went to culinary school in central Serbia. "My mother used to cook for us every day," says Bogdanovic, "and all of it was made from scratch—just good quality food." That was the problem with his Chicago gig: Bogdanovic's chef de cuisine didn't want him to do anything but scrub crusty pans and prep the occasional salad. All for long hours and very little pay, of course. So once he got word of the "good, fast money" many Serbians make in the trucking business, Bogdanovic decided to devote himself to the country's dark open roads instead. As he saved for his next logical step over the better part of a decade, one thing became abundantly clear: the food that fuels truck drivers is terrible—from limp "salads" and soggy, pre-packaged sandwiches to sad buffets. Bogdanovic felt like his peers deserved better, so when he heard about a trailer someone had been trying to sell for years—a Russian spot that specialized in soups like borscht—he leapt at the opportunity to open his own kitchen in "the crossroads of America: Indiana." "You're always in a hurry when you're a trucker," he says, "so you don't really have time to look for good food. There's nowhere to park when you're driving a big semi, either; you gotta be careful and stick to the truck stops basically." 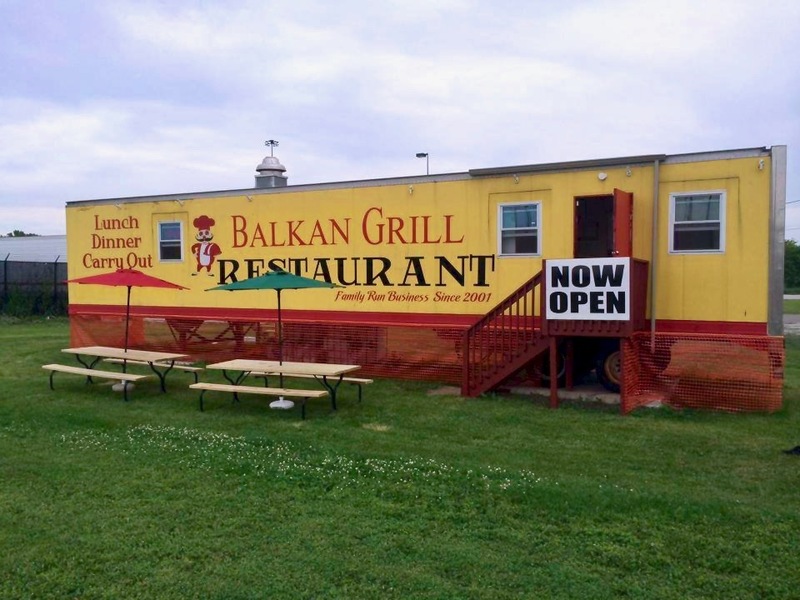 This is why 70-percent of Balkan Grill Company's daily customers are truckers ordering takeout. Meanwhile, a portion of the other 30 aren't even sure where to park since the restaurant's unconventional location—right near the exit of a rest stop—doesn't have any clear spots for non-trucks. Count us among the confused. 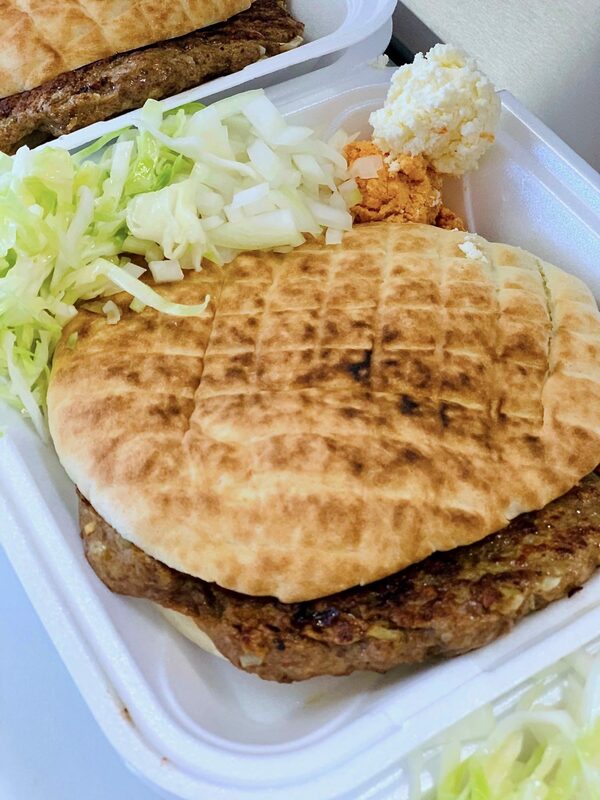 We stumbled upon Balkan Grill Company during a cross-country road trip and left our car running outside like the regulars who call ahead for their orders. A walk up to Bogdanovic's inside window was met with a matter-of-fact disclaimer since we didn't know better: "Everything takes 15 minutes. Is that okay?" Well, yeah, especially when every item is made to order, including a revelatory sandwich that will make any self-respecting carnivore weep. Write this one down: gurmanska pljeskavica. Mixed daily with fresh meat from a local butcher, mineral water, and a traditional spice blend; stuffed with mozzarella cheese, ham, crushed red pepper, and a kiss of garlic; and swaddled in soft, pillowy somun bread, BGC's signature item is a gourmet burger for the ages. If Bogdanovic served this glorious meat frisbee in the Twin Cities, we're convinced it would be hailed as The Next Jucy Lucy—a veritable game changer. That includes its flavor-enhancing condiments, a routine assortment of raw yellow onions, sliced cabbage salad, and two different cheese spreads (kajmak and urnebes, which resemble a spreadable mix of ricotta and feta). "Some people claim it's too big," says Bogdanovic, "but that's a very small percentage." 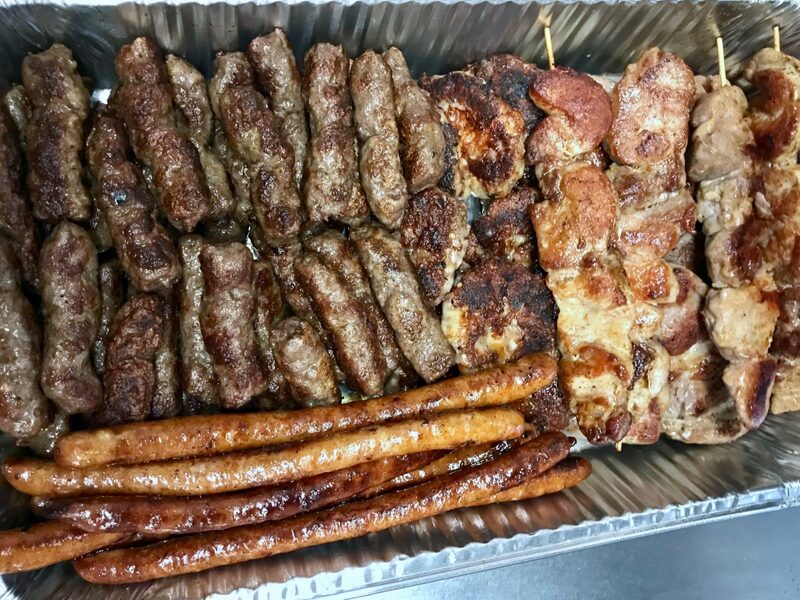 To be fair, it's got nothing on a $40 platter that's got a little bit of everything Bogdanovic does well—four-and-a-half pounds of grilled meat that could "probably feed six or seven people." It's very much a you-get-what-you-pay-for affair, but if you ask Bogdanovic what he prefers, it's usually ground ustipak patties. Not to mention a new item that's "the best thing in the restaurant:" chicken breasts that have been stuffed with cheese and ham, rolled in bacon, and grilled until they're on the right side of crispy. "I realized I made a mistake soon after I went to the economics school," says Bogdanovic. "I don't like being in an office or doing anything office-related, you know? Cooking is so much better; you have freedom."